A concise, clear overview of Therapeutic Parenting with integrated links to short inspirational, often humorous videos, demonstrating practical applications of therapeutic parenting techniques. Suitable for all carers, parents and supporting professionals working with children who have suffered early life trauma. Sarah Naish uses her first hand experience to clearly explain the differences between 'standard' parenting and 'therapeutic' parenting, with case studies and examples of good therapeutic parenting strategies, along with practical applications. Written with the busy parent and supporting professional in mind, this short book provides answers for all those caring for children with attachment difficulties, explaining why we need to parent our children differently, common additional challenges faced by Therapeutic Parents, and the best way to resolve them. The book may be read as a 'stand alone' document, but used in conjunction with the videos and video based courses, it provides a powerful foundation in caring for children who have suffered early life trauma. 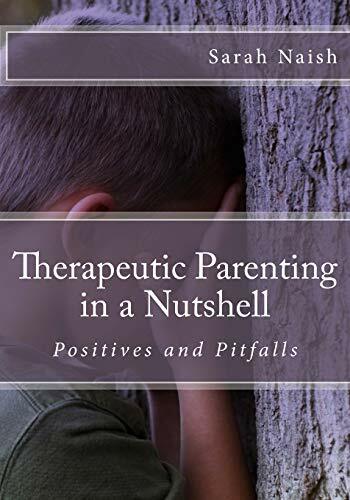 The author provides essential advice to supporting professionals about overcoming blocked care, and helping Therapeutic Parents to stay connected to their child. This book contributes to the new Level 3 Diploma in Therapeutic Parenting, which is the only nationally accredited Diploma in Therapeutic Parenting in the U.K. Launched by Fostering Attachments Ltd, (Inspire Training Group) Autumn of 2016. Sarah Naish is a therapeutic parent of five adopted siblings, CEO of the National Association of Therapeutic Parents, former foster carer and social worker. Sarah used her own experiences to set up and run her own therapeutic independent fostering agency, which also included specialist residential units for children with severe attachment problems. The agency was awarded an &#x2018;Outstanding&#x2019; grading by Ofsted (2013-2104) in recognition of the successful therapeutic model (the T.R.U.E model) devised and implemented by Sarah. As a result she won &#x2018;Woman of the Year&#x2019; in the Women in Business Awards 2014. Sarah is now a trainer and author, running Inspire Training Group, (part of Fostering Attachments Ltd). The company is funding research into compassion fatigue (blocked care) in foster care with Bristol University. (The Hadley Centre), due to be published in autumn 2016. Sarah also speaks at conferences and seminars helping parents, carers, social workers, teachers and other professionals to heal traumatised children, overcome blocked care and to work more effectively together. Also by the Author Guide to Therapeutic Parenting (Community Care Inform service): William Wobbly and the Very Bad Day: Sophie Spikey has a Very Big Problem: Rosie Rudey and the Very Annoying Parent: Charley Chatty and the Wiggly Worry Worm: (These therapeutic parenting children&#x2019;s stories were co-authored with her eldest adopted daughter, Rosie Jefferies. Publication October 2016 by Jessica Kingsley Publishers).